My toddler won’t eat vegetables: What can we learn from the French to help? Get your kids to eat a rainbow with the five a day KiddyCharts Superhero All Stars! 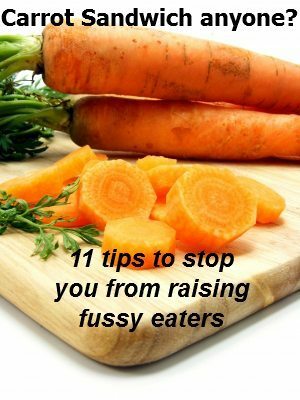 11 tips for fussy eating children: Kids just asked for carrot sandwiches!